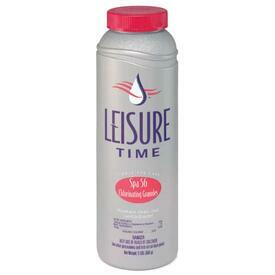 Spa chlorine from Leisure Time is the highest quality on the market and very easy to use. Hot tub chlorine makes your water feel and smell clean and keeps it crystal clear. Family Leisure has Free Shipping on all Chemicals and all other accessories. We are your one stop shop in stores and online and we are just a call away if you have any questions with maintenance.